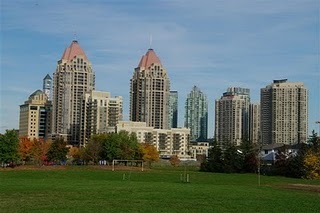 Mississauga is a city forming part of the Greater Toronto Area in the Great Lakes region of North America. With a population of 704,000, Mississauga is the sixth largest city in Canada and the fourth largest city in the Great Lakes region. Due to the large influx of immigrants, mostly from Asian countries, Mississauga is one of the fastest growing cities in Canada. Nearly fifty percent of the population belongs to a visible minority and is able to speak a language that is not English. Being home to more than 18,000 companies has helped Mississauga to remain debt free as a city since 1978. Mississauga, ON is a center for industry especially the warehousing, manufacturing, and petroleum refinement in the pharmaceutical, electronic equipment, and chemical sectors. It is also the location of one of the largest financial districts in Canada which is home to the corporate offices of more than 50 Fortune 500 companies including Hewlett-Packard, Microsoft, Pepsi, General Electric, and Wal-Mart. Mississauga covers 288.42 square kilometres (111.36 sq mi) of land, fronting 13 kilometres (8.1 mi) of shoreline on Lake Ontario. Mississauga is bounded by Oakville and Milton to the west/southwest, Brampton to the north, Toronto to the east, and Lake Ontario to the south/south-east. Halton Hills borders Mississauga’s north-west corner. With the exception of the southeast border with Toronto (Etobicoke Creek), Mississauga shares a land border with all previous mentioned municipalities. 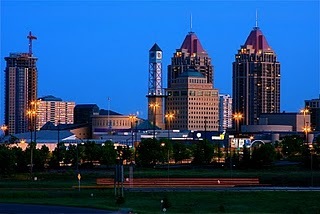 Mississauga, Ontario has many entertainment opportunities for both residents and tourists including the famous Playdium indoor theme park and the Square One Shopping Center. Its 13 km of Lake Ontario shoreline make water sports popular and the 481 parks provide plenty of space for hiking, biking and picnicking. Mississaugans are fond of sports as well, and have formed teams and clubs at various proficiency levels for hockey, soccer, canoeing, rowing, figure skating, lacrosse, cricket, football, rugby and synchronized swimming. Experiencing SAP applications in extended supply chain as well as distribution processes, drives TKReddy to write blog posts in order to learn and remember. « How do I define India’s winning moments in Cricket World Cup 2011.